Japan is releasing the 30-y Bond Auction and Average Cash Earnings y/y data along with the US publishing IBD/TIPP Economic Optimism and JOLTS Job Openings. The support rests at 109.460 with resistance at 110.400 which both lines are below the weekly pivot point at 110.810. The EMA of 10 is moving with bearish bias along the descendant channel and it is below the EMA of 100 and above the EMA of 200. 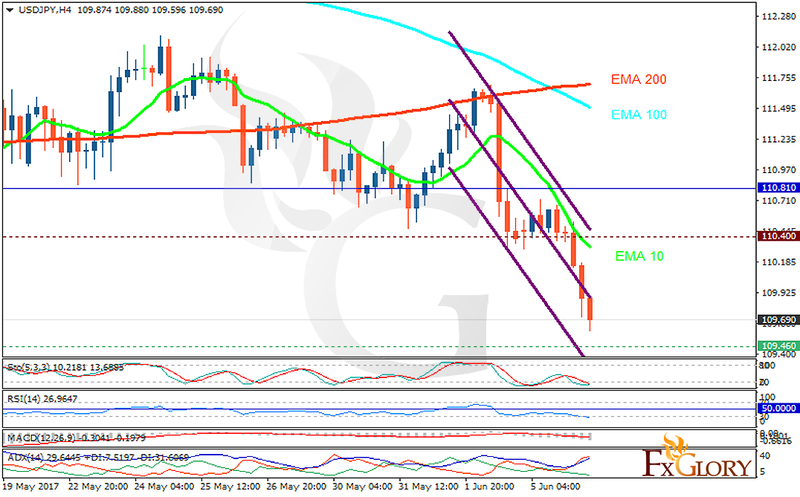 The RSI is moving in oversold area, the Stochastic is moving in low ranges and the MACD indicator is in negative territory. The ADX is showing sell signals. Long term traders can open buy positions targeting 111.50 while short term traders can target 109 area however the support area does not seem to be broken.